5* for your creatieve creation !!!! Wish you to a very very happy day and Lovely weekend with your loved ones !!!!!! 5* x 4 new beautiful creations. Happy weekend, Mithat !!!! 5* x 6 last beauties. Happy day !!!! 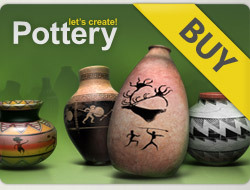 I gave 5 stars for all your marvellous 9 pots! You can look at my gallery when you have free time.